Every few years, mobile carriers promise to turbocharge smartphones with new “G” technology. Most recently, 4G began replacing 3G, and people from Trenton to Tacoma celebrated the fact that they could watch cat videos without their screens locking up (well, most of the time). This summer, Verizon and AT&T will start testing 5G. If this fifth-generation mobile network works as advertised, it could be far more transformational than previous versions, accelerating adoption of the Internet of Things: smart homes, driverless cars, surgical robots and more. According to one estimate, the number of connected “things” could more than double to 50 billion globally by 2020 – and reach 500 billion 10 years after that. The 5G rollout represents the biggest expansion of the Internet to date and has the potential to generate billions of dollars of business for the likes of Cisco Systems, Nokia, Ericsson, Qualcomm and Intel Corp. All are vying to build the nuts and bolts of the new networks; their ability to lasso contracts could determine whether some of these companies survive. While 5G presents an enormous opportunity for a range of industry stalwarts, leadership in one generation of technology is no guarantee of dominance in the next. Nokia failed to see the mobile Web coming and lost to Qualcomm, Samsung Electronics Co. and, ultimately, Apple ‘s game-changing iPhone. When 4G arrived, Sprint bet on Wi-Max but was forced to adopt technology used by Verizon Communications. 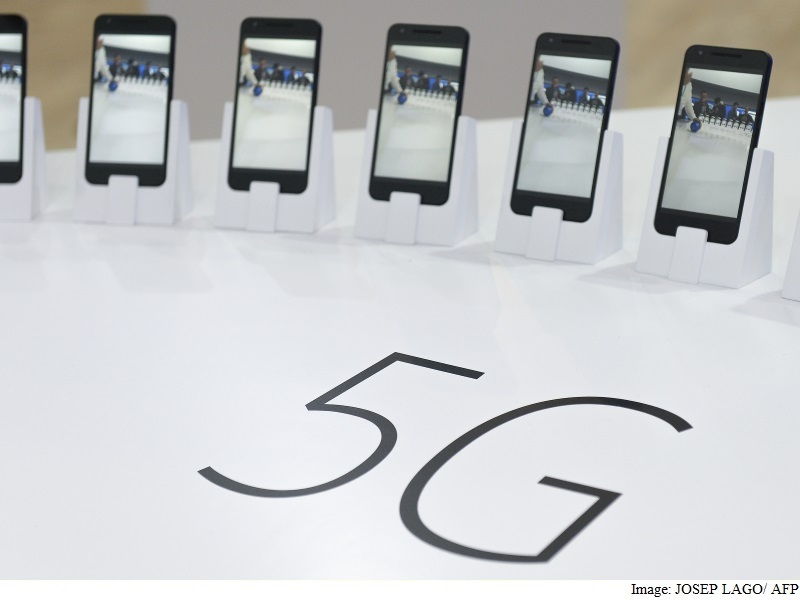 There’s no question 5G will happen; it’s just not clear who’ll benefit most because much of the technology has yet to be tested in the real world. As any smartphone user can attest, even the latest 4G networks sometimes struggle to handle millions of people tweeting, watching videos and playing games – leaving us grinding our teeth waiting precious seconds for Google to return search results. That’s not good enough when a self-driving car needs to decide whether it’s safe to cruise through an intersection and has to wait while someone gets the next data packet for the Netflix movie they’re streaming. So for starters, the next network will have to be far more responsive. For years, the industry has largely focused on the amount of data it can force through the system in a given period of time – a concept known as throughput — with only rudimentary attempts to make sure everyone gets what they need during peak demand. The new focus is latency – how quickly a network responds to a request. To ensure a robot reacts instantly to a surgeon operating remotely, 5G networks will have built-in processing, store data closer to where it’s needed and use multiple forms of radio waves to send and receive traffic. All of this must be controlled by advanced software that can dynamically adapt what gets sent where and when according to rapidly changing needs. The next step is getting billions of things talking directly to each other rather than going through centrally controlled networks, as most connected devices do now. Once that happens, whole new vistas open up. For example, Ericsson and truck maker Scania want to make it possible for big commercial rigs to drive in tight formation to reduce wind resistance and burn less fuel – a system called “platooning.” The 5G network would herd together trucks, which would then “talk” to prevent high-speed crashes. Finally, devices themselves will have to get smarter, working out what traffic to send when. A water meter doesn’t need to clog up the network during a Soccer World Cup Final. Not every sensor in a building needs to be able to call the fire department when the temperature spikes. More intelligent networks will coordinate and prioritize needs making sure they both minimize traffic and assign the right priority to packets of information that need it. None of this will come cheap. Spending on 5G equipment will reach $400 billion (roughly Rs. 26,54,125 crores) globally, according to an estimate by Chetan Sharma Consulting. Building the 2G networks in the 1990s cost a relatively paltry $130 billion (roughly Rs. 8,62,590 crores). Companies eager to benefit – and avoid being left behind – are salivating. Chipmaker Intel sees a chance to finally get into mobile and continue its shift away from the shrinking PC business. Ericsson and Cisco are bringing their expertise to the party – mobile equipment for the former; wired gear for the latter. Mobile carriers will make out, too. Chetan Sharma expects them to be able to charge five times what they’re charging now. That’s not just from jacking up phone bills, but collecting access fees for wearables – think heart-rate monitors and high-definition virtual reality glasses – and “smart gear,” including your drone collection, cars, bikes and even dog collars. Each connection, though only a few bucks a month, could run up a hefty tab.